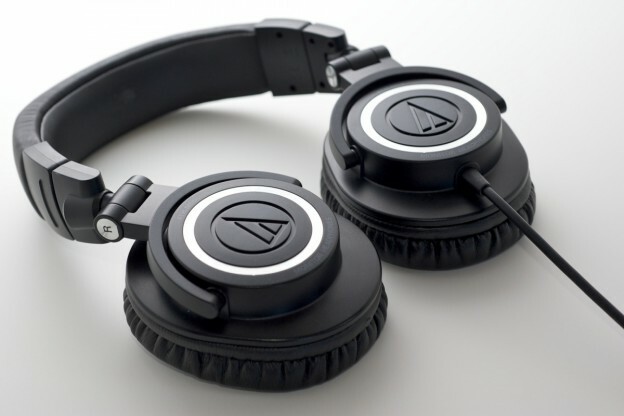 Audio-Technica is a relatively new contender in the sound device market, but at the same time, they do have a lot of old school fundamentals ingrained within their devices. Started in the year 1962, the company recently celebrated their 50th anniversary with the release of multiple new products. What is noteworthy with this company is that they were among the first to produce wireless microphones, along with other giants within the industry. Quite recently, they’ve taken an interest in professional headphones and other mixer gear. 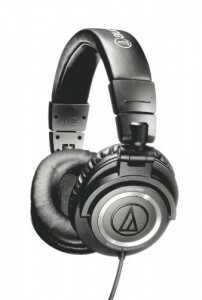 Once prominent example is the ATH M-50 Monitor headphones. The beauty and the tragedy to these headphones is that they are very well balanced, but music mixers might find it a little lacking. You see, while they do boast some very good sound with a balanced and wholesome output, there isn’t much detail to it. Audiophiles who have to work within a budget will find this pair very satisfying, but might also find that their tracks are somewhat reduced in quality. The properties that this pair has might not be the ones mixers and professionals seek out in their gear. However, start-ups might find that there is enough here to make a decent sounding song. When you open up the box, you will surely notice the long and sturdy cord. In fact, there are two versions you can buy according to your needs. The coiled version reaches about 10 feet, while as the straight cord pulls out to 11 feet worth of range. The pair also boasts a closed and isolated pair of cups, which are designed to keep sound from escaping. However, there is some leakage to the cups, making it a littler harder to bring this headset around in public places. It’s a bit of a shame that the pair doesn’t have a carrying case it can be cumbersome to carry these things over distances. The Impedance magnitude rating states that the headphones rate around 38 ohms. However, the headset does not boast active noise isolation, so it allows a small amount of outside interference. The closed design does do its best to cut out any excess sounds from the outside world, but in doing so, the cups can get a little hot over time. The full headset itself weighs around 11 ounces, so it is a negligible weight for people who want to walk around with this pair. As was stated above, the cups can swivel outward or into the headband making them compact. The AT-M50s feature a lot of good stuff in a great package. They are compact and lightweight, so you can move around with relative ease, and if you get the coiled version, without tangles. At the same time, they boast sound that is almost akin to more expensive, professional monitor headsets. All this for the low price of $150, and you get a very good bargain for a mid-high tier headset. The sound isn’t as detailed as people might like and while loss-less tracks don’t lose out in any respect, they do lack that analytical sound which professionals might need.